Bunnyvac, a vaccine against the bacterium Pasteurella multocida, was introduced to the US rabbit industry in May of 2013. The vaccine is licensed by the USDA for the prevention of Snuffles in healthy rabbits. It is also sometimes used off-label for the treatment of sick rabbits. In a show rabbit and fur rabbit herd, where I am tasked with safeguarding the integrity of my breed’s gene pool, including their innate immunity, vaccination will hinder the pursuit of that goal, since it can create the appearance of an adequate immune system, clouding my ability to make good genetic selection choices (reason #1 below). Using a Pasteurella multocida vaccine in a show herd will reduce the capability of the breeder to selectively breed for immunity to P. multocida. This is my biggest concern with the Bunnyvac vaccine. Group 1: Rabbits with excellent innate immunity, the rabbit that is unfazed by stress. These rabbits handle July 4th fireworks and the commotion of rabbit shows with barely a flinch, and can kindle, lactate and wean 8 kits without breaking a sweat. Group 2: Rabbits of average immunity. These may show their stress one way or another, but their health doesn’t actually break down. Rabbits in groups 1 and 2 are keepers. 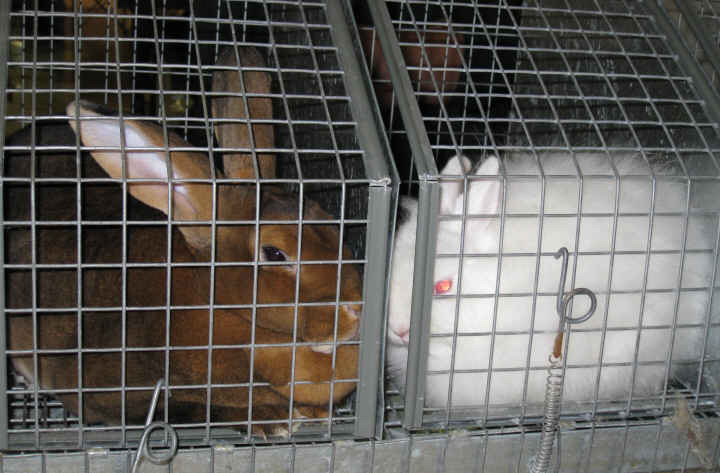 Rabbits in group 3 should not be kept for breeding. Once a rabbit is vaccinated against P. multocida, it becomes impossible to discern which category it falls into. The Pasteurella multocida vaccine over-stimulates the immune system to produce antibodies, and therefore all the rabbits in a herd will seem to be completely healthy for a while. Those members of the herd that should not be used for breeding? The breeder will no longer know which of his rabbits is which. If I vaccinate my rabbits, I can therefore expect the genetic quality of my herd to drop over multiple generations due to my inability to recognize and cull out the weak immune systems. I’m sorry, but I can’t deal with that. That’s my main deal-breaker, right there. As you’ll see below, this isn’t the only problem in vaccine-land. It isn’t possible to completely eliminate exposure to pasteurellosis. P. multocida is spread throughout multiple species in all environments of the globe, possibly excepting Antarctica. The same strain of P. multocida that infects rabbits’ lungs also plagues sheep and other ruminants. Dogs and cats carry P. multocida, though a different strain. The germ is endemic, which is why Mr. Bob Glass must vaccinate every single rabbit that enters the laboratory. it is the strength of the immune system. A healthy immunity can easily cope with P. multocida, as seen in the hundreds of thousands of rabbits that remain healthy in the face of the endemic presence of P. multocida. Below: These Best of Breed rabbits wait for Best In Show selection. It is impossible for a Pasteurella multocida vaccine to completely eliminate the germ from every rabbitry. Even if 100% of breeders could vaccinate 100% of their animals, it is outside the realm of possibility that the overall threat of Pasteurella could be eliminated entirely. Many strains of P. multocida exist. According to Dr. Randy Berrier, scientist at the Colorado Serum Co. The Pasteurella multocida vaccine addresses one strain, the main respiratory strain that is typically seen in rabbits, sheep and ruminants. Several other respiratory strains are similar enough that the vaccine-induced antibodies are expected to search and destroy these strains as well. It is assumed that the vaccine might also help prevent wryneck, however the proof for this is difficult to replicate in a study, and so the actual claim is not made. According to Mr. Bob Glass, the strains of P. multocida that have more affinity for non-respiratory areas of the body like the skin or internal organs are not addressed in the vaccine. The vaccine is believed to have a 90% immunity rate that expires in one year. This is only partial protection. Vaccinating, therefore, will not eliminate all pasteurella. Watch for at least 10% of vaccinated but exposed rabbits to possibly come down with snuffles, and 100% of vaccinated rabbits to remain at risk for skin abscesses, pyometra, mastitis, orchitis, sepsis, etc., due to strains of Pasteurella multocida dissimilar to the respiratory strains. (Big Question: Will culling the 10% of post-vaccine symptomatic rabbits over multiple generations be enough to result in the reduction of endemic P. multocida, or will the strain succeed in mutating first, resulting in a vaccine that no longer works? Vaccination is not a cure-all. Vaccines in general carry a very big flaw: They bypass one-half of the immune system entirely (the cellular immunity), and over-stimulate the other half (the humoral immunity). Yes, antibodies flood the rabbit due to the Pasteurella multocida vaccine, but the cell-mediated "memory" that would normally tell the immune system which is the good guy and which is the bad guy is absent. This is why in a year’s time, your rabbit’s immune system will have forgotten why it was making those antibodies, necessitating repeat vaccination. It is also the reason why native immunity, the natural, joint function of BOTH systems working in tandem as designed by Nature, is much more reliable than a vaccine over the long term. There is more in the Pasteurella multocida vaccine than just dead Pasteurella germs. The extra ingredients are toxic heavy metals. Mercury and aluminum hydroxide are contained in the adjuvants and preservatives in those vials of Bunnyvac. They are known toxins that when injected directly into the body are stored there, can build up over time, and are typically carried and deposited into the brain via immune system phagocytes (killer cells). Additionally, these adjuvants are blind, meaning that while they help to stimulate the immune system to form antibodies to Pasteurella germs, they cannot prevent the body from also forming antibodies to other elements within the vaccine. Some of those molecules stem from and closely resemble bunny parts, and will result in the immune system attacking parts of the rabbit itself (autoimmunity). This is thought to be a significant cause of allergies (and worse) in dogs and cats, and now we begin to hear talk of allergies in rabbits as well. It is not known how the heavy metals in multiple vaccine doses will affect the individual rabbits in a rabbit herd, but if that herd is also the source of rabbit meat, how will this affect the health of the humans who eat those rabbits? 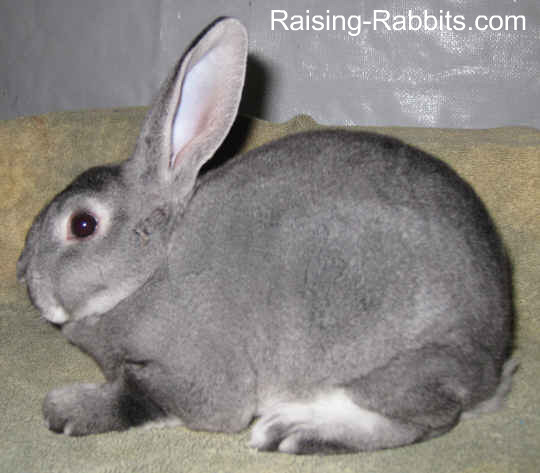 Older rabbits will be at risk for disease, whether vaccinated or not. A natural corollary of aging in both rabbits and people is a reduction in hormone levels and a corresponding reduction in immune function. This is normal and natural. I have removed 3-year-old rabbits from the show circuit and from breeding duties (they also fail to perform) long before I see a weakening of the immune system. This is not a strike against native immunity in the slightest; this is normal life. In the wild, aging rabbits one day fail to run fast enough, and a predator eats well that evening. Since the vaccine lasts only one year, approximately, it may be expected that eventually, as the rabbit ages, the Pasteurella multocida vaccine will fail to elicit the same robust response as in prior years, due to the rabbit’s weakening immune system. Since the Bunnyvac is still new, it remains to be seen whether older rabbits will remain snuffles-free and for how many years. Mr. Bob Glass, the vaccine developer, also recognizes the bacterium’s capability to hide in the body in areas of low blood flow such as the sinuses. Whether or not long-term use of the Pasteurella multocida vaccine can eventually root out these areas of infection has not been studied. It is clear that if a booster is not administered after a year, antibody levels fail. A vaccine cannot prevent the target pathogen from mutating. And mutate it will, eventually. It is impossible to outsmart the genetic safeguards built into bacteria and viruses. Australia inoculated many feral European rabbits with myxomatosis in 1950 in order to eradicate an overwhelming rabbit population. Local kill rates were 99.5%. Infected rabbits died within 11 days. Just 1 year later, the virus had attenuated, or become somewhat less deadly. Only 90% of infected rabbits were dying, and they survived 20 days before succumbing. By the 1990’s, the feral population had soared again to 300 - 400 million rabbits. A large percentage of these rabbits were now resistant to myxomatosis (the opposite of the desired effect). In 1995, the calicivirus was released, with somewhat similar results. At this time (2015), the feral domestic rabbit population in Australia is estimated to be above 100 million and out of control. Most of Australia's feral rabbits are now resistant to both myxomatosis and calicivirus (RHD). In Europe where the native rabbit population is stable (due to predation) and myxomatosis is present in the environment, the death rate runs very close to 70%. If an infected rabbit dies, it will have typically survived for up to 40 days before death. The same thing will occur with the Pasteurella multocida vaccine, without a doubt. Its efficacy will drop by many percentage points, leaving you with rabbits that are poorly protected, and no way to know which animals are of truly superior genetic strength (versus artificially propped up with a weak vaccine). After years of antibiotic use and abuse, people now face the scourge of super-germs such as MRSA – methicillin resistant staphylococcus aureus. Super-germs have learned how to eat antibiotics for breakfast. The pertussis bacterium, Bordetella pertussis, has evolved in the face of vaccinations. The vaccine uses an identifying surface protein of the B. pertussis germ, pertactin, to help the body target the germs. But a few species of B. pertussis don’t have this surface protein and were not therefore targeted by the vaccine. The pertussis vaccine is now only 20% effective in many areas of the world, as the pertactin-free species of B. pertussis have survived and thrived (illustrating the danger of ignoring the cellular immunity segment of the immune system). Currently, more than 75% of pertussis cases now occur in wholly vaccinated individuals. History and biology guarantee that in time, P. multocida will mutate or evolve as well, resulting in eventual vaccine failure. What will happen if/when the germ mutates, and the Pasteurella multocida vaccine no longer works? If the Pasteurella multocida vaccine fails, will an explosion of disease detonate in rabbitries everywhere? I don't know the answer to this. And that's why I don't vaccinate my herd with the Pasteurella multocida vaccine. I don't know about you, but I plan to keep on doing what I've been doing for years - enhancing the innate genetic immune system strength, both cellular and humoral, in my herd through selective breeding of only the healthiest animals. Click here for more on Vaccine Immunity.